I love it when RaeAnne Thayne takes me to visit friends in small towns. This Christmas story takes us back to Haven Springs and we meet Cole, a rancher with a past, as well as a future as the single father of two small kids; and we meet Devin, a doctor and a survivor. However, survival had a heavy cost and there are times when Devin realizes what it cost her. While the summary above makes it seem like the springs are the focus of the story, they really aren't. What brings Devin and Cole together originally is that his sister, who is pregnant with twins and estranged from her huband, breaks her ankle and then goes into pre-term labor. Devin is the doctor on duty at the hospital and an old friend of his sister. Besides the old tried and true romance formula the story explores the themes of misunderstood intentions, family forgiveness and of course, the gift of Christmas love. Pope Francis and The Joy of the Gospel help people of all walks of life-diocesan leaders, parish staff and volunteers, families and laity-live out the Holy Father's vision for the renewal of the Church and the New Evangelization. I wish I could tell you I timed this review to coincide with the Pope's visit to the US, but the planning happened elsewhere; I'm reviewing it because I finally finished it--which makes it sound long and hard to read, but it isn't. Over the years I've read a lot of online forum posts or blog posts written by self-proclaimed "faithful" or "conservative" Catholics. Though I often agreed with what was written, they often rubbed me the wrong way. It seemed that for many, being Catholic boiled down to not using birth control, liking Latin and the Rosary and hating music by Haugen and Haas. On the other hand, I'd read more liberal forums and it seemed the topics of the day were the ordination of woman and the normalization of sexual behaviors traditionally considered sinful, though there often seemed to be more said about the poor and marginalized on liberal sites than on conservative ones. Something else I've noted over the years is that converts to Catholicism often read or study their way into the Church. Those who convert from Catholicism to Protestantism often do so because at some point when they needed someone in their life, a Protestant friend invited them to church and that church became a support system for them. They don't so much choose to leave the Catholic Church (at least at first) as they choose to go where their needs are met. So, why am I telling you about me and my experience? 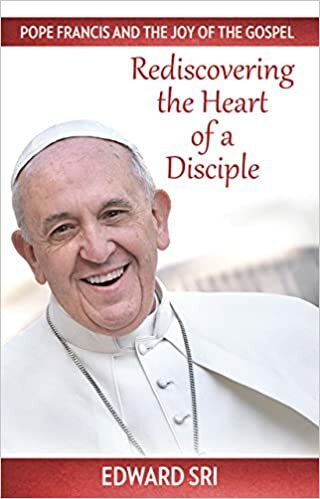 Because I read Pope Francis and the Joy of the Gospel: Rediscovering the Heart of a Disciple and found myself nodding all the way through it. First, Edward Sri talks about "The New Evangelization" and points out that the Church's number one priority is to make disciples of all nations. He goes on to state that missionary activity has traditionally focused on those people and places where Christ is unknown. However, the focus of The New Evangelization is the people in our midst, those who have been baptized, who call themselves Catholic but who have not surrendered their life to Jesus and who do not shape their life by the Gospel. The purpose of Pope Francis' Joy of the Gospel is to teach the faithful how to be missionary disciples. Edward Sri reminds us that doors let people in, and out. Often we are concerned with getting people to come to us (the Church) that we fail to go to them. This doesn't mean preaching; more often it means listening to people, and, through your actions, showing them what Jesus means in your life. In The Joy of the Gospel, Pope Francis urges us to reach out. He dreams of "a missionary impulse capable of transforming everything so that the Church's customs...schedules, language and structures can be suitably channeled for the evangelization ...rather than for self-preservation". The main news that needs to be spread is the love and mercy of Jesus--not that abortion, or contraception or gay marriage are wrong. To me that makes perfect sense. If I know and love Jesus, then I want to please Him. In that situation, teaching me why those are moral evils, despite what our culture says, could cause me to change my behavior to match my beliefs. On the other hand, if I don't believe, then those preaching against those things come across as intolerant harpies, not as those showing love to me or to others. The Pope said "The biggest problem is when the message we preach then seems identified with those secondary aspects, which, important as they are, do not in and of themselves convey the heart of Christ's message." The book has a chapter on mercy on talks about Pope Francis' famous quote "Who am I to judge?" Another chapter talks about our culture and our tendency to engage with devices rather than with people and the necessity of reaching out to people as individuals--even people with whom you'd rather not associate. The "professional" church is brought to task for being too inward, too focused on serving those who are always served, rather than coming up with new ways to reach those who do not darken our doors. I recommend this book. Each chapter is followed by reflection questions that I think would make excellent fodder for a retreat for a parish council or parish staff, for discussion in small groups in a parish or even to afflict your own conscience. I won a copy of this book in the Mega-Advent Giveaway hosted by the Catholic Book Blogger. I was not obligated to read it, or write any review, much less a positive one. Do you belong to Shelfari, Goodreads, LibraryThing, and other similar sites? If so, can you list all of the book sites you belong to so others can take a look at them? I have accounts at all of them, but haven't been to Shelfari or LibraryThing in a very long time. Basically I found Goodreads to be the easiest to use and couldn't figure out a reason to use the others regularly. Maybe I need to look and see if they have any new features I'd like to try. On the other hand, my booklist at Goodreads is pretty complete and I'm not interested in doing the work to switch it to another platform. 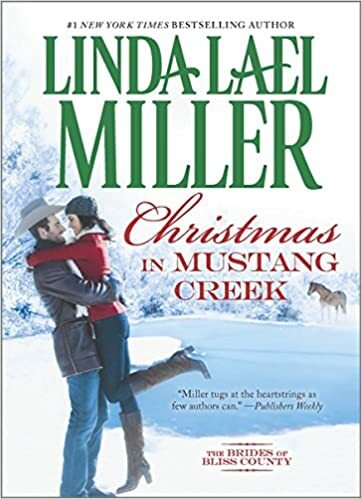 It is a Linda Lael Miller Christmas romance. That really says it all. 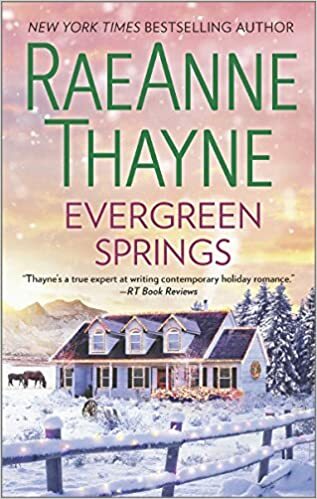 It was a quick, sweet, hometown (if your hometown features ranches and mountains) story of family, long-time friends, snow, animals, and a little Christmas magic. The only real conflict is inside Charlotte's head, and there isn't much of that. Grab your hot chocolate, curl up in front of the fire and enjoy this holiday treat. Grade: B. That is absolutely none of anyone's business. I will say that the password recovery fuctions of various websites and I are very well acquainted. I haven't been on the book blogging circuit lately, but thought I'd stop by and say hi. I started a financial planning blog and have been working building it into a money-maker. However, I miss my reading time and have managed to get a few books in lately. I just published a review of Jan Karon's new Mitford book. Come Rain or Come Shine tells the story of Dooley and Lace's wedding. 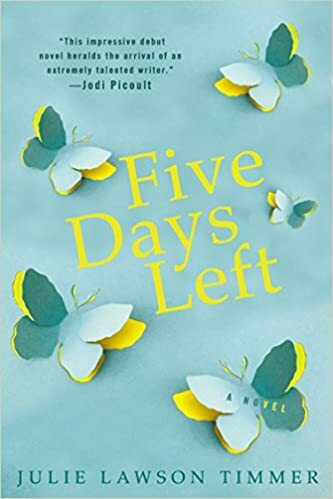 A book I enjoyed a few months ago was Julie Lawson Timmer's Five Days Left. This week I have an interview with Julie Lawson Timmer and I'm giving away a copy of her book. I'm ready to read RaeAnne Thayne's Cold Creek Christmas Story and I'm in the middle of Edward Sri's Pope Francis and the Joy of the Gospel: Rediscovering the Heart of a Disciple . Hope everyone has great week. Happy reading! One thing I like about the Mitford novels is following a core group of characters through the stories and seeing how life changes for those characters. Unlike many series romances in which each installment features a different couple, with the people who are introduced in earlier books just serving as background scenery, the Mitford stories carry readers through many years in the life of Fr. Tim, who is an Episcopal priest, his family and friends. Unfortunately, at some point I think it is time to tell those characters goodbye and move on to new families. Come Rain or Come Shine tells the story of Dooley and Lace's wedding and the weeks leading up to it. Despite the intentions to keep things simple, it seems that everyone who could be invited was. I've read enough of the Mitford books to recognize the names of many of the characters, but it has been long enough since I read them that I couldn't really put faces and stories with names. 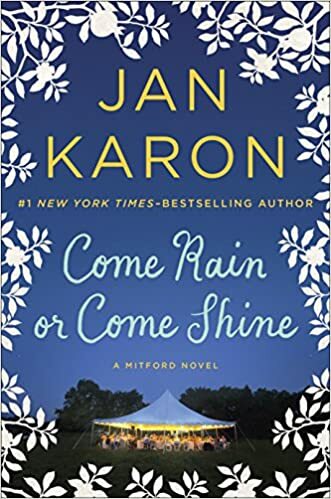 Karon drops a few details but mostly the reader is left feeling like a "plus one" at a family wedding. The point of view shifts frequently and it can take re-reading to figure out who is observing or thinking at the time. The wedding scene itself was beautiful and Fr. Tim's advice to the newly married couple was spot-in. In short, if you are a Mitford fan and want to attend the wedding of Dooley and Lace, I think you'll enjoy the book. If you haven't read the other books, give them a try--they will warm your heart, but leave this one until the end. Without the other stories, this one is just another stranger's wedding. That's a toss-up. I love the review copies, having access to NetGalley and Edelweiss means I have more books than I can ever read sitting at my fingertips. Emotionally though, I love it when someone tells me that my review got them to read a book they absolutely loved. 1. I started this blog over ten years ago, back when blogs were new but I had online friends who were blogging so I thought I'd try it too. I kind of tried mommy blogging but I think that's something you have to start when your kids are babies; by the time I started blogging I was too afraid of them or their friends finding my posts to really say anything about them except how wonderful they are, which is true, of course, but not near so interesting as the stories of the silly things people's toddlers do. 2. Eventually I found book blogging and joys of free review copies. I guess that's really my niche though at times I live up to my title and write about current issues or even my kids. 3. I wrote a little about finances for a while, but then I decided to start a whole new blog on finances, which I call Racing Toward Retirement. Retirement will be here before I realize it. I learned a lot about current investment options when trying to decide what to do with my inheritance and wanted to share that information with others. I've also written about long-term planning as the parent of a special needs child and about what to do as an executor/executrix. 4. I have an author interview and giveaway post running now. 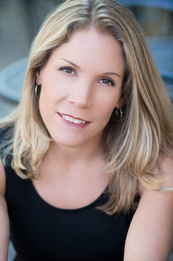 Julie Lawson Timmer, author of Five Days Left graciously answered a bunch of nosey questions. She's also giving away an autographed copy of her book, It makes bloggers look good when people enter their giveaways, so please enter mine. If you don't like to read, the book would make a great Christmas gift. Seriously, it is one of those books that would be great fun to discuss over a glass or bottle of wine--so many things to disagree about! 5. I just started yet another blog: A Brownie Leader's Journal. I thought I'd document my year leading twenty Girl Scout Brownies--what worked, what didn't and what's I'd do differently next time--yes I'm one of those old-timers who isn't leading her daughter's troop but other people's kids. 6. As I said, I've been doing this for a long time. 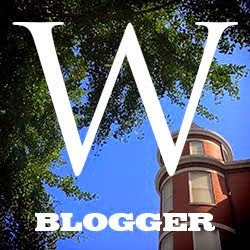 I'm still on Blogger, still using it at no cost. While I have a basic understanding of terms like "SEO" and "keyword" I've never optimized my blog. I keep running into blogs were people claim to be making real money and I wonder if switching to Word Press would help me all that much--or are they making all that money because they consider blogging a job, not a hobby and put hours per day into it, rather than hours per month. 7. I was going to grab some picture somewhere to put in this post because that's what all the "how to blog" things tell you to do but I'm tired and I'm going to bed. Today I'd like to welcom Julie Lawson Timmer, Author of Five Days Left (click to read my review), to This That and the Other Thing. I don't often reach out to authors and ask for interviews and I can't explain exactly why I decided to ask Julie if she would visit with us, but I did and I'm glad she responded positively. One of the major characters from Five Days Left has Huntington’s Disease. Why did you pick that condition? Do you have any personal familiarity with it? No, I didn’t have any familiarity with Huntington’s Disease (“HD”) before I started writing Five Days Left. I was inspired to write the book after a friend died of incurable cancer. I hoped that writing about someone dealing with a fatal, incurable disease would be a way to explore the fear and anguish my friend might have experienced. I hoped, too, that it might be a way for me to honor her, even if the book was never published. I chose Huntington’s rather than cancer because I didn’t want to write my friend’s story. Five Days Left is not biographical. As noted in your book, one characteristic of Huntington’s Disease is that if one parent has it, their children have a 50% chance of developing the disease. In Five Days Left you make both Mara and her daughter adopted, removing that issue of Huntington’s from the story. Is there a reason you made that choice? That was just happenstance, actually. When I started making notes about Mara, she came to me almost fully formed. I knew her profession, and I knew she had traveled to India to adopt her daughter, and that her parents had done the same decades earlier, to adopt her. I discovered you and Five Days Left on the Women’s Fiction Cafe Week group on facebook. Do you think that Five Days Left only, or largely appeals to women and not men? I think Five Days Left appeals to both genders. You and Mara are both lawyers. Besides that, do you share any traits? Yes. We’re both driven, Type A women who fiercely love our husbands and our children. Beyond that, Mara really is her own person and not a reflection of me. I have often said I would have liked to meet Mara. She and I attended the same law school (there’s another commonality) and in some parallel universe, it would have been nice to attend school at the same time, and get to know her. Both Five Days Left and your next novel, Untethered, deal with children who are adopted or otherwise not living with their biological parents. Is this an area of law in which you practice? f you could change current laws by waving your magic wand, would you change them relating to adoption or child custody? No, I don’t practice this kind of law. I’m very interested in the question of what makes a family--is it biology, a piece of paper, an emotional connection?--so I like to write about situations that raise that question. I’ve been a paralegal for over twenty years and have seen a lot of women, particularly those in their childbearing years, leave jobs as attorneys. Are you still practicing? If so, how do you manage that, writing and kids? Yes, I still practice law. I was a litigator early in my career, but for about 15 years now, I’ve been in-house counsel. I wrote Five Days Left from 4am-6am every weekday and 4am-10am every weekend day, for over two years, because that was the time in my day that wasn’t taken up with work or kids. Now, I’m working part-time, which gives me a few days each week when I can write during the day. It’s been such a pleasure to be able to sleep past 4am! Your bio says that you were born in Canada but live in Michigan. Did you move to the US as an adult? If so, what would you consider to be the major differences between the US and Canada? Yes, I moved to the United States after undergrad, in 1989. For a decade, I lived in Texas, and that was very different from Canada. Now, I live in Michigan, and it’s very similar, and also, of course, very close, to Canada. I think the major difference I notice these days is the political system. I’m no expert here, but the three-party system in Canada seems to make things less polarized there than the two-party system we have here. In Five Days Left, Scott sounds like the kind of teacher most parents want for their children. Did you have a special teacher who made a real difference in your life? Did your kids? What a terrific question. I didn’t have a teacher who made as much difference in my life as Scott made in Bray’s. But I’ve been fortunate enough to have teachers and professors who have inspired me in some ways, or made me believe in myself in an area where I might have had some doubt. I know my son and daughter would say the same. Did you set out to write a novel to publish, or did personal scribblings take on life of their own? Can you give us a short “conception and birth” story, if you will about your baby Five Days Left? I did set out to have a novel published--it has always been a latent dream of mine. I let my career and family obligations take over though, and always kept the dream on a back burner. But in 2011, I was about to turn 45, and for some reason that birthday made me take stock of my life like no other birthday had done. I realized that the one regret I would have at the end of my life was that I had never tried to write a novel and see if I could get it published. I decided I couldn’t let myself live with that regret. I would be happy if I could look back and know that I had tried and failed. But I wouldn’t be happy if I looked back and admitted I had never tried. So, in February of 2011, before my May birthday, I told myself I would have a draft finished by my birthday. I did it--although it was a terrible draft. I pitched the book at a writer’s conference in the summer of 2011. Those pitches went nowhere but I met some great friends at the conference, and through those friendships and their advice, I figured out that the book needed huge revisions, my query needed a great deal of refining and I needed to learn things about the publishing business that I should have learned before pitching. For several months after the conference, I revised the book, which really involved completely gutting it and rewriting it, and when I finally had something better to query in the spring of 2012, I got a few requests for partials and fulls. I received plenty of rejections, but I also got a revise & resubmit request from an agent, and she even took the time to speak with me on the phone about the changes she thought the book needed. She ended up giving me two chances to revise and resubmit (which means she read the book three times--very generous!). She ultimately passed, but because of her, I had a much more polished manuscript, and I am forever grateful to her for that. By the end of the summer of 2012, I had sent close to 100 queries and hadn’t landed an agent. 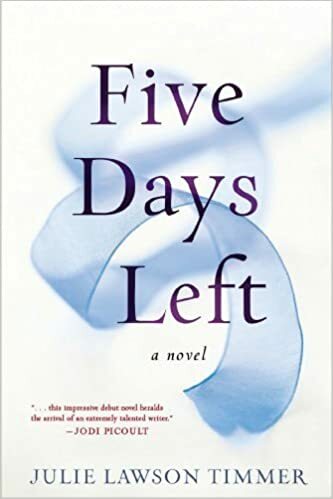 I announced to my husband that Five Days Left would be my “practice novel.” I told him I was shelving it, and I wrote two others, and started to think about querying one of those. Over the following few weeks, rejections from outstanding queries for FDL would trickle in and I’d laugh--I was over Five Days Left, and the rejections no longer stung. Then, I got a revise & resubmit on Five Days Left from a different agent. I actually told my husband, “I’m not even going to respond. Five Days Left is my practice novel. I’ve moved on.” Thankfully, my husband urged me to sleep on it before I deleted the email. I have learned to always follow my husband’s sage advice, and of course, by the next morning, I realized I hadn’t “moved on” from Five Days Left at all--I still loved it, and because of it’s connection to my friend, I was still just as eager to see it published. I agreed to revise and resubmit the book, and I spent the next six months revising it significantly--again, a complete gut and rewrite. I sent it back to the agent and five days later, she called to offer representation. Twenty-one days after that, she sold it at auction, to Amy Einhorn. So, it was a long, slow, two-year lead-up with lots of rewriting and lots of rejection, and then Bam!--everything happened quickly. Do you write anything besides legal briefs and novels? Magazine articles? Short Stories? Poetry? I write daily texts to my children -- does that count? I identify as a novelist above all. I’ve written a few articles for online magazines and newspapers (HuffPo and the like) but I’m not a journalist and am not trying to be one. The idea of short stories is intriguing to me, but in the end, I think the long form suits me better, as it allows me to really get to know my characters, and to see them change, and I love that aspect of writing novels. I'd like to thank Julie once again for joining me here to talk about Five Days Left . She has generously agreed to provide an autographed copy Five Days Left to one of my readers. If you would like to win a copy, check out Julie's webpage about her books and leave a comment about which one you would prefer to read and why. Immerse yourself in the discomfiture of five couples who are virtual strangers when they agree to wed for practical reasons. Emily marry Steven for the sake of his children. Regina’s family has arranged for Diedrich to come from Germany as her groom. Chiquita is bartered in marriage to Eduardo to cover her father’s debts. Pearl accepts Jason’s hasty proposal to help him run his family’s farm. 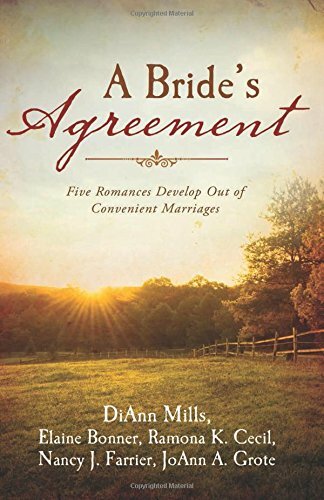 Sarah Jane is forced to marry Painted Hands, a trail scout, for propriety’s sake. Can romance develop despite awkward beginnings? How many years have you been blogging, and is there a story behind your blog's name? I started blogging in 2005, and at first I didn't really have a focus, thus the name This That and the Other Thing. 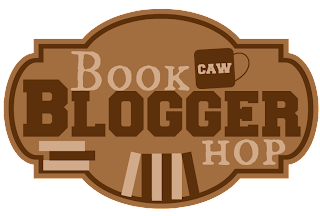 Eventually I ran across book blogs and decided I could do that. I'd write about library books or books I put on Bookmooch, hoping someone would claim them. Then I discovered review copies, and blog tours and I decided that I was a book blogger.